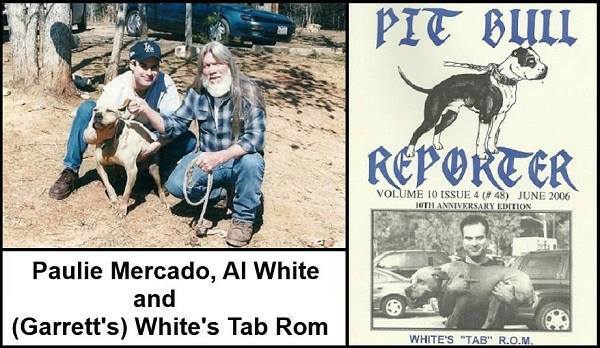 Paulie Mercado, Al White and Garrett's Tab Rom. Top producing son of Jeep, a line of good performers and producers. He produced CH GATOR ROM, CH BRUTUS, CH TABITHA, CH SMOOTHIE, GR CH ABBOTT, CH RUGAR, MC CLINTON'S CH LITTLE TAB, CH TUFFY POR, CH KANO, CH PEANUT, CH SLIM SHADY, CH TABBY BOY, CH LARRY LUTHER AND MANY 2XWER'S AND 1XWER'S.